It is indeed copper, but a cheap alloy instead of the chemically pure copper that's needed for high quality cables and circuit boards. I cannot say exactly of which different metals it consists, but it usually includes lots of copper (as the base), nickel, pewter, sometimes zink or lead and sometimes traces of other elements like phosphor, beryllium or silicon. The copper used for such alloys is usually low quality scrap metal from old copper water pipes or copper that was contaminated with other elements. Electric wiring for example contains mostly pure copper, but if you burn the insulation off instead of removing it mechanically, you contaminate the copper and it loses much of its value. The purification is too expensive, so it's used for cheap metal jewelry and other objects. Relative to other metals copper is still expensive, but the combination of price and material properties makes this copper alloy the best option for cheap metal jewelry. Most people prefer jewelry in a silvery color. Alternatives like actual silver or white gold are much more expensive. Other metals like steel or platinum have a muted, grey color and are harder to process. Aluminum, which has the right color, is much too soft and requires very much energy to smelter and process. It appears to be copper, which is not that expensive when you consider the cost necessary to form something like steel into that shape ( steel is cheap but more costly to form). 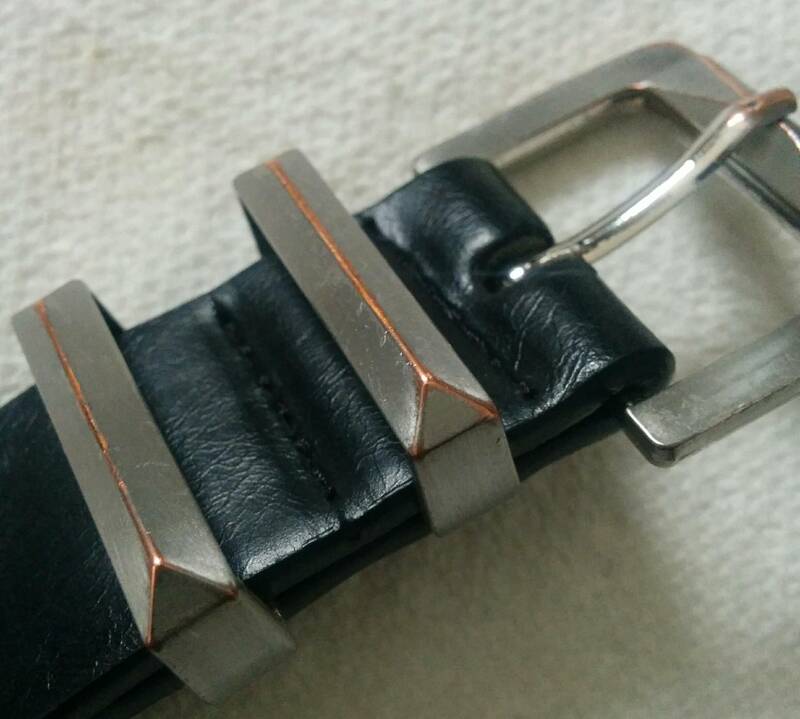 The other possibility is that it is copper plating under nickel and/or chrome plating . Traditional chrome plating ( on steel) uses a first layer of copper a second layer of nickel and a top layer of chrome. I may add there is no such thing as "cheap" copper . Copper has been recycled for thousands of years. All copper product today are likely to contain recycled material , cast products are highly likely to recycled materials. Having once worked in a recycle smelter , I can promise you the recycled ingots used by most or all foundries meet the same ASTM specs as virgin material. Electric wire is more likely to be virgin because it is not cost effective to reduce certain elements like tin down to the specification limits.However if you look up copper scrap prices , # 1 and #2 are most valuable as they are copper wire scrap with very low levels of alloys ( and of course are often made back into wire). Not the answer you're looking for? Browse other questions tagged metal jewelry or ask your own question.